So you like Instagram? I do, you've seen me post tons of review pics using Instagram and now there's something like Instagram for your pets too. It's called Kloof. I'm a picture freak...you might also call me a pawparazzi. I have thousands of pictures of my two babies on my phone! So, this app is perfect for me. Let me tell you a bit more about it. Klooff, the awesome app for pet lovers and I'm not talking just dogs and cats, just launched in May. It allows you to create pet profiles, upload pet pics and interact with other pet lovers through check-ins. You can share content with your Facebook and Twitter friends, as well as upload Instagram photos. You can also earn points and badges with the app with is a kind of cute feature. 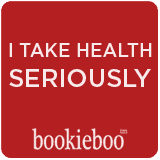 Badges include “Cute”, “Posh”, “Tuff”, “Funny”, and “Photo” and are earned via votes. So as much as you love your pet and think they're the most adorable thing ever, no, you won't get the cute badge...well, not until 10 people vote for your pic! LOL. The other neat thing about this app is that you can create custom products featuring your pets' pictures that you took with the app. I love the functionality of it and it's quite easy to use. However, there is one thing I don't like. That's my privacy. As much as I love my babies, I'd like to choose what I share and what I don't want to share. I would prefer having a private stream and only allowing friends I want to follow me to follow me. As I was clicking through and searching people, you can see their profile and any pet profiles. The good thing is that you can't see their pics until you follow them. The other good thing is while you're creating your pics in Klooff, they save to your phone and they don't actually post to your profile until you hit post. So, you can use it to create funky pics and keep everything private. I did enjoy the effects you could use on the app and the cute stickers you can add. Too bad you can't flip to get mirror images of the stickers. You can, however, flip and rotate your pics. Overall, the app gets a 4.5 out of 5. It's quite fun and easily as addictive as Instagram but with even more options to play around with. One more suggestion, they should do a search function for breeds because scrolling through a ton of pets to get to Pomeranian takes awhile. Check out the app and let me know what you think. 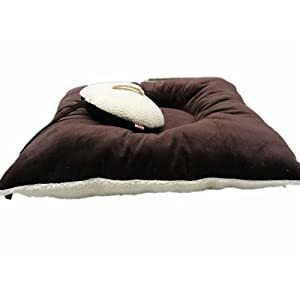 Win It:1 lucky WOS reader will win a Cushioned Comfort Bed For Pets Up To 100 LB's - 28" x 28", valued at $50. Show the sponsor some love now by downloading the free app on your cell. Like Klooff on Facebook. Follow @Klooffapp. Enter on the Giveaway Tools form below between Jun 12 10PM EST until Jun 27 11:59PM EST. Open to US, 18+. Good luck! Please take the time to enter my other giveaways while you're here. Earning points for being a pet lover and connecting with other pet lovers!! I liked the article on what breed to pick for dating. LOL!!! That all looks so cool! I need to get a smart phone! I wish I had a smartphone, this app looks awesome! I learned that Kloff is a social network for your pets. I love it.